Michael is a Certified Public Accountant licensed in the State of Connecticut. 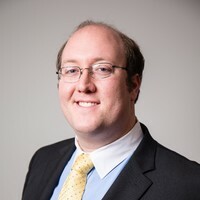 Michael is a member of the Connecticut Society of Certified Public Accountants, and is an active member of the Greater New Haven Chamber of Commerce, the Greater New Haven Young Professionals Group and the Hamden Chamber of Commerce. He is also involved in the community as a member of the Quinnipiac University Accounting advisory board, and as the Vice President of the board of a Meriden nonprofit organization. Michael received his Bachelor of Science Degree in Accounting from Quinnipiac University, and his Master’s Degree in Taxation from the University of Hartford.